I’m sharing my family’s favorite Dr. Seuss Books List with you. I hope you’ll discover a new Dr. Seuss book along the way. And be sure to tell me what your favorite one is as well! Dr. Seuss is one of those prolific authors that all children should grow up with — whether you love his ridiculous rhymes or his heart-filled stories, he’s an author that speaks to multiple generations of kids. 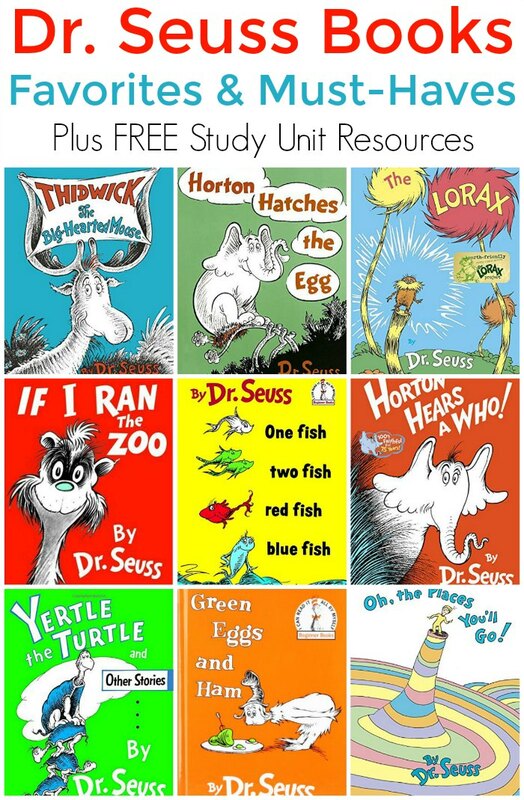 In addition to recommending our favorite Dr. Seuss books list, I’ve teamed up with some fellow bloggers to offer you homeschool and classroom Dr. Seuss Unit Study ideas! You can find our favorite Dr. Seuss books list as well as his complete bibliography at your local library or purchase through the affiliate links provided for your convenience. We have an amazing library near us, and the children’s library is impressive. We are quite lucky! As I’ve gotten to know the head librarian, imagine my surprise when she admitted to me that she doesn’t like Dr. Seuss! What?!? Oh yes, no everyone likes the over-the-top silliness of Dr. Seuss. And I have to admit — I’m one of them. His stories that have stuck with me over the years are the ones with heart. One of the first books I sat down and read to my boys (and is still my personal favorite) is Yertle the Turtle. I could read that story over and over and never get bored. Meanwhile my boys love Horton Hears a Who and Green Eggs and Ham. My father, on the other hand, would argue that If I Ran the Zoo is by far the best one. Also, did you know that NEA’s Read Across America Day is a nationwide reading celebration that takes place annually on March 2 — Dr. Seuss’s birthday? Across the country, thousands of schools, libraries, and community centers participate by bringing together kids, teens, and books, and you can too! Whether you’re a parent or an educator, join in on the Read Across America Day. 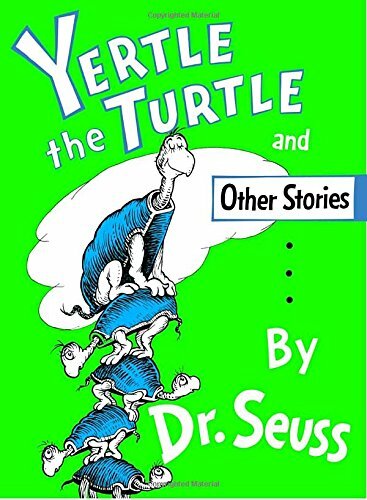 Yertle the Turtle and Other Stories: Dr. Seuss presents three modern fables in the rhyming favorite Yertle the Turtle and Other Stories. The collection features tales about greed (“Yertle the Turtle”), vanity (“Gertrude McFuzz”), and pride (“The Big Brag”). In no other book does a small burp have such political importance! Yet again, Dr. Seuss proves that he and classic picture books go hand in hand. 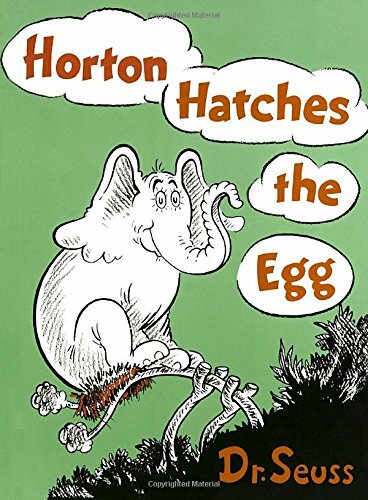 Horton Hatches the Egg: Meet Horton the elephant, one of the most commendable heroes in children’s books. 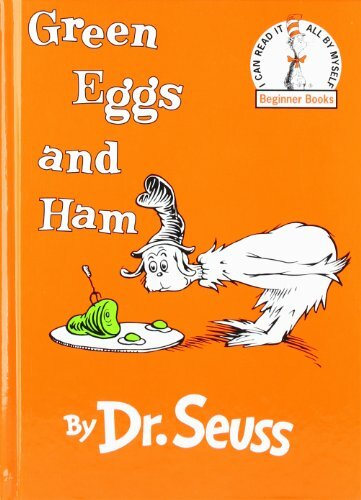 Green Eggs and Ham: “Do you like green eggs and ham?” asks Sam-I-am in this Beginner Book by Dr. Seuss. In a house or with a mouse? 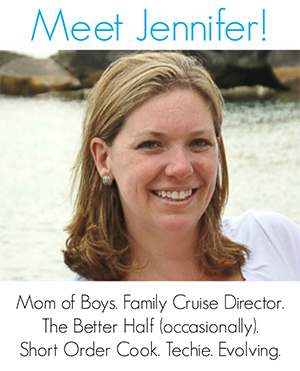 In a boat or with a goat? On a train or in a tree? Sam keeps asking persistently. With unmistakable characters and signature rhymes, Dr. Seuss’s beloved favorite has cemented its place as a children’s classic. In this most famous of cumulative tales, the list of places to enjoy green eggs and ham, and friends to enjoy them with, gets longer and longer. Follow Sam-I-am as he insists that this unusual treat is indeed a delectable snack to be savored everywhere and in every way. 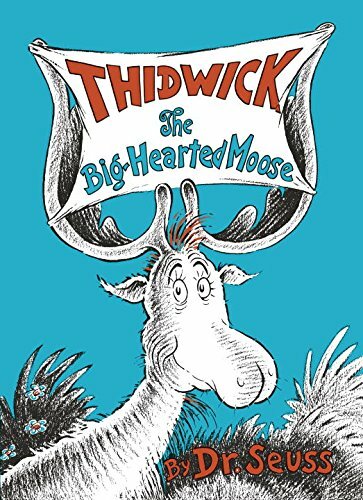 Thidwick the Big-Hearted Moose (Classic Seuss): Join one of Dr. Seuss’s most giving characters in the classic picture book Thidwick the Big-Hearted Moose. Poor Thidwick’s generosity proves the adage that no good deed goes unpunished, and soon everyone, from a tiny Bingle Bug to a huge bear, is taking advantage of our antlered hero. With Seuss’s rhyming text and endearing illustrations, this beloved story about a kindhearted moose and the bullies that make a home on his horns is an ideal way to introduce children to the invaluable concept of self-respect. 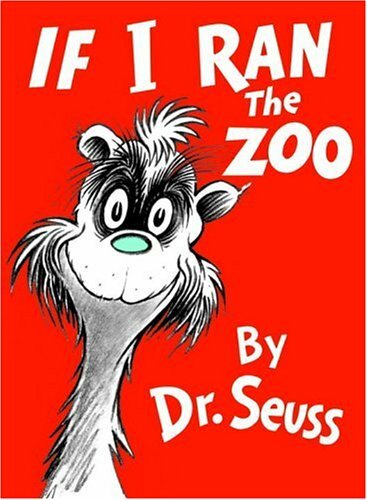 If I Ran the Zoo (Classic Seuss): Animals abound in Dr. Seuss’s Caldecott Honor–winning picture book If I Ran the Zoo. Gerald McGrew imagines the myriad of animals he’d have in his very own zoo, and the adventures he’ll have to go on in order to gather them all. Featuring everything from a lion with ten feet to a Fizza-ma-Wizza-ma-Dill, this is a classic Seussian crowd-pleaser. In fact, one of Gerald’s creatures has even become a part of the language: the Nerd! 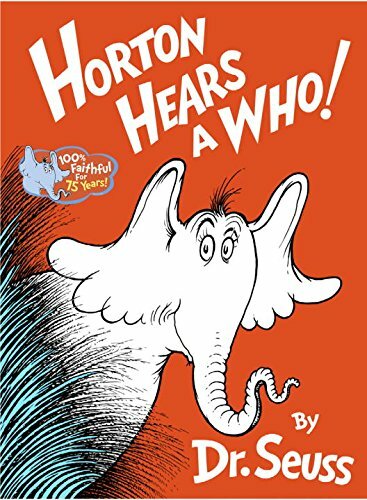 Horton Hears a Who! : Horton is back! After his first appearance in Horton Hatches the Egg, everyone’s favorite elephant returns in this timeless, moving, and comical classic in which we discover that “a person’s a person, no matter how small.” Thanks to the irrepressible rhymes and eye-catching illustrations, young readers will learn kindness and perseverance (as well as the importance of a good “Yopp”) from the very determined—and very endearing—Horton the elephant. Oh, The Places You’ll Go! : Dr. Seuss’s wonderfully wise Oh, the Places You’ll Go! is the perfect send-off for grads—from nursery school, high school, college, and beyond! 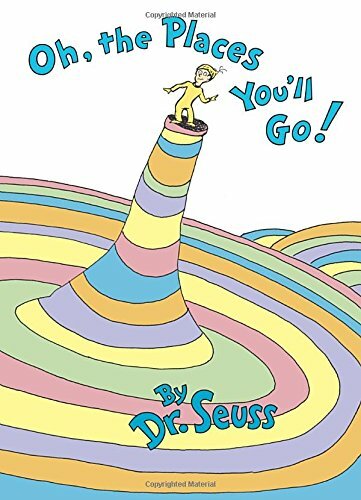 From soaring to high heights and seeing great sights to being left in a Lurch on a prickle-ly perch, Dr. Seuss addresses life’s ups and downs with his trademark humorous verse and illustrations, while encouraging readers to find the success that lies within. In a starred review, Booklist notes, “Seuss’s message is simple but never sappy: life may be a ‘Great Balancing Act,’ but through it all ‘There’s fun to be done.’” A perennial favorite and a perfect gift for anyone starting a new phase in their life! 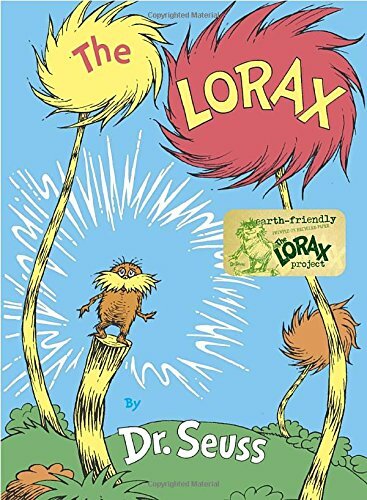 The Lorax (Classic Seuss): Long before “going green” was mainstream, Dr. Seuss’s Lorax spoke for the trees and warned of the dangers of disrespecting the environment. In this cautionary rhyming tale we learn of the Once-ler, who came across a valley of Truffula Trees and Brown Bar-ba-loots, and how his harvesting of the tufted trees changed the landscape forever. With the release of the blockbuster film version, the Lorax and his classic tale have educated a new generation of young readers not only about the importance of seeing the beauty in the world around us, but also about our responsibility to protect it. 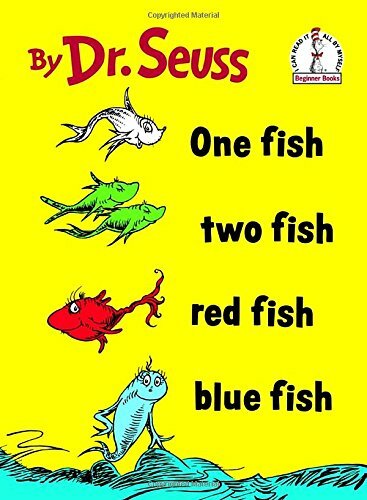 Like this dr seuss books list? Find even more engaging book lists for kids with more than 100 book-themed reading lists! Mr. Brown Can Moo! Can You? : Dr. Seuss’s Book of Wonderful Noises! 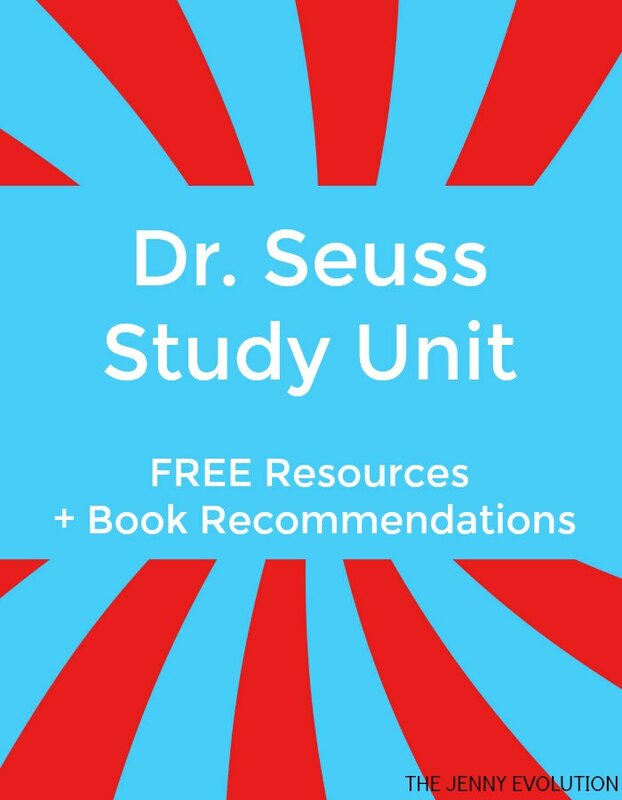 In addition to recommending Dr. Seuss books lists for your kids, I’ve teamed up with some fellow bloggers to offer you homeschool and in-class Dr. Seuss Unit Study resources to teach kids about Dr. Seuss! I feel like a child again for just seeing these book covers! There are quite a few on here that I’ve never read! I thought I’d read most of his work but there’s a lot I’ve missed, can’t wait to pick these up to read with my little one! We love all of these but especially Green Eggs and Ham! And to Think That I Saw It on Mulberry Street is one of our favorites, but we love most of them. Pinned!